Today having great a company culture is considered more a prerequisite, than simply a nice-to-have. In fact, an exceptional company culture is almost expected, in addition to other traditional benefits employees draw. More and more, job candidates are choosing a company because of its culture rather than its paycheck—and it’s not just a fad. Unfortunately, a lot of organizations struggle to create a remarkable and magnetic workplace culture, even though today’s workers consider it as much as they consider salary and benefits. Generally speaking, a company’s culture consists of the values, beliefs, attitudes, and behaviors—instrumental to corporate identity—that employees share and demonstrate on a daily basis in their work. Culture is how employees describe the business and consider themselves as part of the organization. Company culture is important because it drives decisions, actions, and ultimately overall performance. Understanding an organization’s culture helps us to understand the reasons companies do what they do and achieve what they achieve. One thing is for certain: a strong organizational culture is a powerful tool in terms of attracting talent. It can win you access to the best industry talent, and help retain top employees amid fierce competition. Successful companies understand their culture and take deliberate steps to manage and promote it effectively. To raise performance, an organization must continually evaluate its values and practices to ensure they align with their corporate strategies and goals. 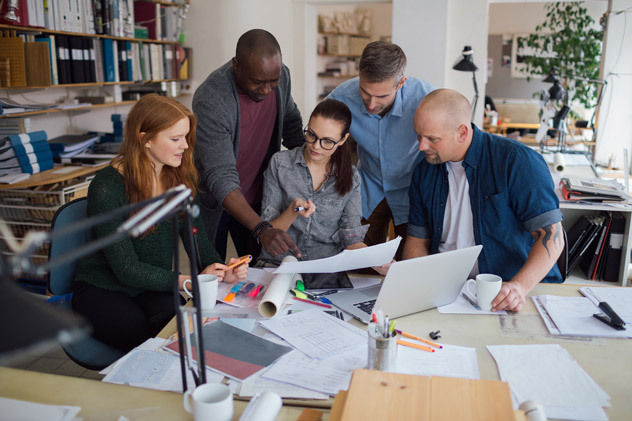 There are numerous studies substantiating that employee engagement is an outcome of a healthy company culture, and directly impacts organizational effectiveness. It stands to reason: When people feel they are valued and have a voice in the workplace, they show their commitment in the quality of their work. Deloitte’s “Global Human Capital Trends 2015” reports that issues of employee engagement and culture have risen to become “the No. 1 challenge around the world.” Eighty-seven percent of respondents believe the issue is a top challenge, and 50% cited the problem as “very important”—double the proportion compared with last year’s survey. But how do you know whether you’ve done these things and are creating an environment where everyone is set up to succeed? How do you measure and substantiate whether your organization’s culture is good and if it isn’t, whether it’s improving? Do you have a good handle on your company’s culture, and whether it is getting better or worse? A company culture survey measures how close an organization’s behavior matches its expressed values. Survey results are widely used to determine changes in corporate strategy, leadership, investments, and organizational changes. There is no one right answer to how often you should survey employees but, employees should definitely be surveyed more than once a year. In looking for employees’ feedback on your company culture it’s important to ask the right questions. Deciding on the right questions (and how to ask them) is important because you can only act on what you ask. SoGoSurvey’s Company Culture Survey sample was designed to help you create the ideal survey that enables you to uncover the truth about your corporate identity.